Gift baskets are a great gift idea during the holidays or any time of year. 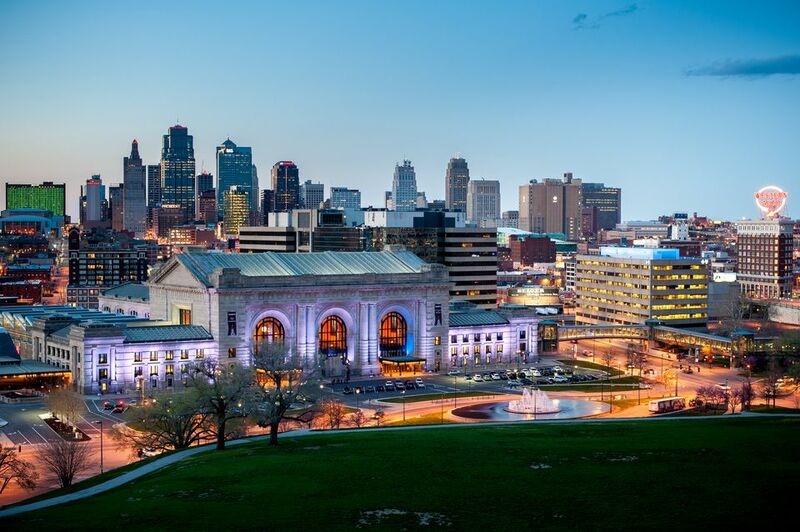 Special clients, misplaced Kansas Citians, or favorite friends love a real taste of Kansas City, Missouri. Here are the top small gifts to make that gift basket match the taste of KC. Consider a team shirt, a firey bottle of BBQ sauce or a good book by a local author as you gift your friends with KC themes. One thing is for sure, Kansas City does BBQ better than anyone. Many BBQ restaurants around town sell their special sauces in local grocery stores and many are available for purchase in their restaurants. Joe's Kansas City Bar-B-Que even has a whole inventory of spices, sauces, and seasonings to choose from. KC Coffee man Danny O'Neil produces some of the best beans anywhere. Where are these mouth-watering beans roasted? At Kansas City's very own Roasterie Coffee. Buy their beans in your local grocer, on the Roasterie Coffee website, or at The Roasterie Café. Christopher Elbow—with his delectable chocolates and mouth watering confectionary masterpieces—is the top pick for Kansas City chocolate and would be a great addition to any Kansas City gift basket. By mixing and experimenting with unusual flavors and unique spices all accompanied by chic design, you can't go wrong by sending some of Kansas City's best chocolate. Don't forget a box for yourself! Favorite flavors include macadamia and Hawaiian sea salt dark chocolate, crème brûlée white chocolate, and blueberry lavender dark chocolate. While the hometown brew, Boulevard Beer doesn't ship its beer directly, you can find their hops in any local grocery or liquor store. You may also find Boulevard shirts, hats, and glasses on their website. KC is pretty much crazy about Povitica Bread, the delicious swirled bread that has been made in Kansas City by Eastern European immigrants since they settled on Strawberry Hill in the early 1900s. The pastry has 18 different filling options, including cranberry walnut, pumpkin spice cream cheese, apricot, poppyseed, and more. Pick up Povitica Bread's in your local grocery store, online, or at their retail store. Noted author and local legend, Charles Gusewelle was a reporter for the Kansas City Star for over 40 years. ​Author of such books as The Rufus Chronicle: Another Autumn, Another Cat at the Door, and A Paris Notebook make a great addition to any Kansas City gift basket and are all charming and heartwarming reads. Find Gusewelle's books at Rainy Day Bookstore, Barnes and Noble, or Amazon. Whether you're a die-hard Mizzou fan or Rock Chalk the Jayhawk, KU and MU team merchandise are some of the hottest gift items of the season. With great athletic records, any alum or fan would love to have their teams gear in a gift basket. You can get glasses, sweatshirts, hats gloves and even gifts for the next generation. Love them or loathe them, nothing says Kansas City more than Chiefs football. From T-shirts and tailgating gear to mugs, ornaments, and stockings, KC Chiefs red-and-yellow swag look great in any gift basket. Check out the Kansas City Chiefs Official Pro Shop for all the souvenirs. If you're looking to spice up your gift basket, don't forget Kansas City's favorite hot sauce, Original Juan. The sizzling sauces, salsas, and dips are bottled on Kansas City's own Southwest Boulevard. Find Original Juan goodies at your local grocer, order online, or head to their Factory Outlet and Gift Shop.